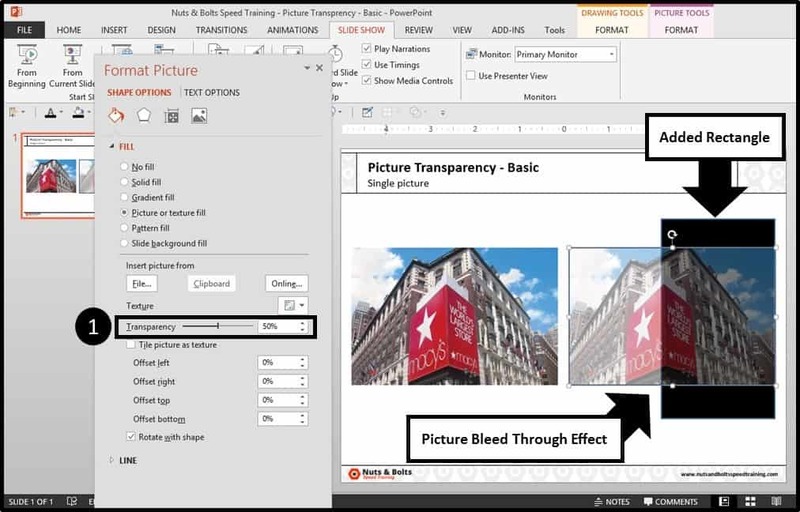 It's now easier than ever to make an image transparent in PowerPoint! If you have PowerPoint 2019 with an Office 365 subscription, you now have a transparency option built right into your Picture Tools Format tab. Choose from one of the preset transparency options, or click on 'Picture Transparency Options' to choose a custom setting. 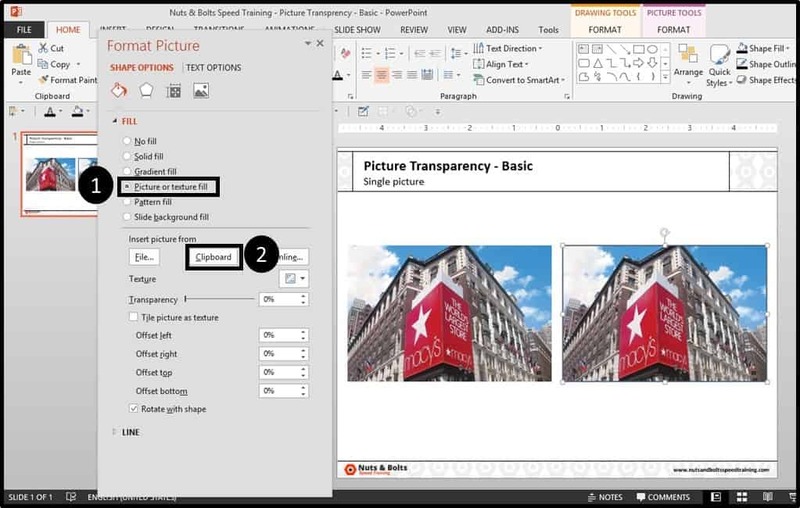 At the moment, this background transparency feature is only available for PowerPoint 2019 (Office 365 users). 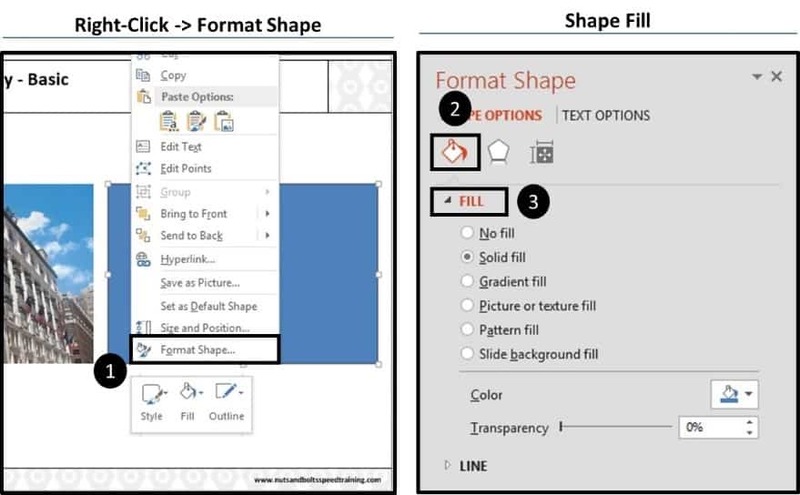 Hopefully this feature will be added to the standalone version of PowerPoint 2019 soon. (but I wouldn't hold my breath). 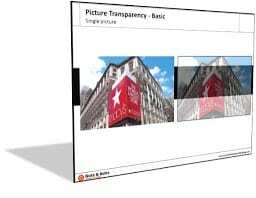 If you would prefer to remove your image background instead of making it transparent, see How to remove Background Image in PowerPoint. 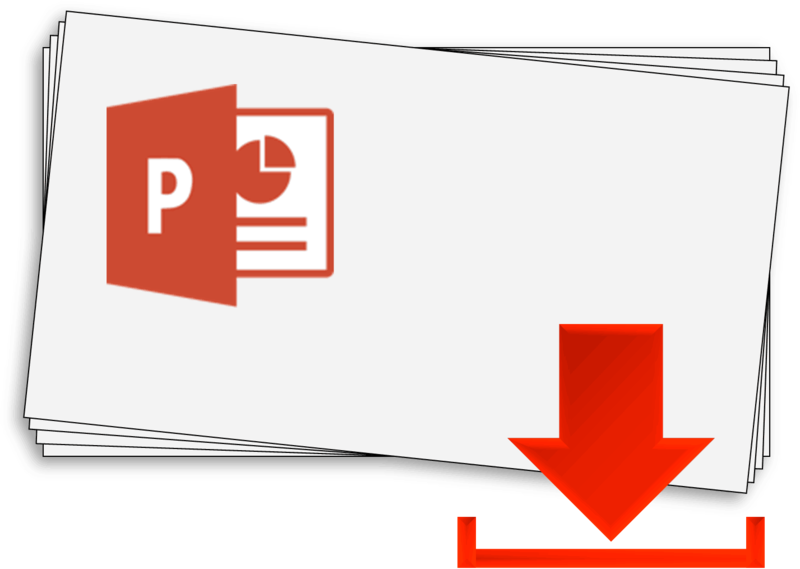 If you need to reduce the file size of your images in PowerPoint (so that it's easier to email to your clients and colleagues), see How to compress images in PowerPoint. 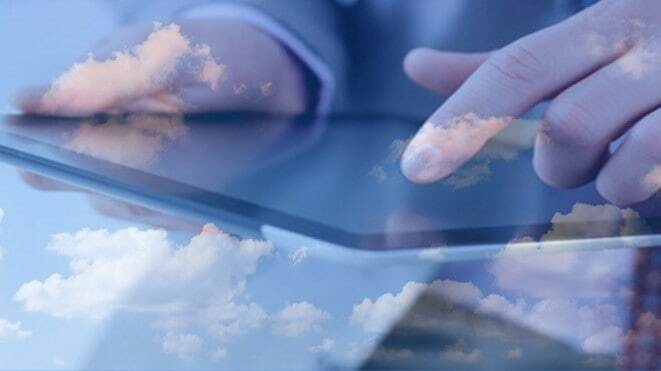 If you don't have an Office 365 subscription, you are still in luck! While creating transparent images is one of those zany things that is technically impossible in PowerPoint, you can use the below work around to accomplish the same thing. How does it work (pre-2019)? 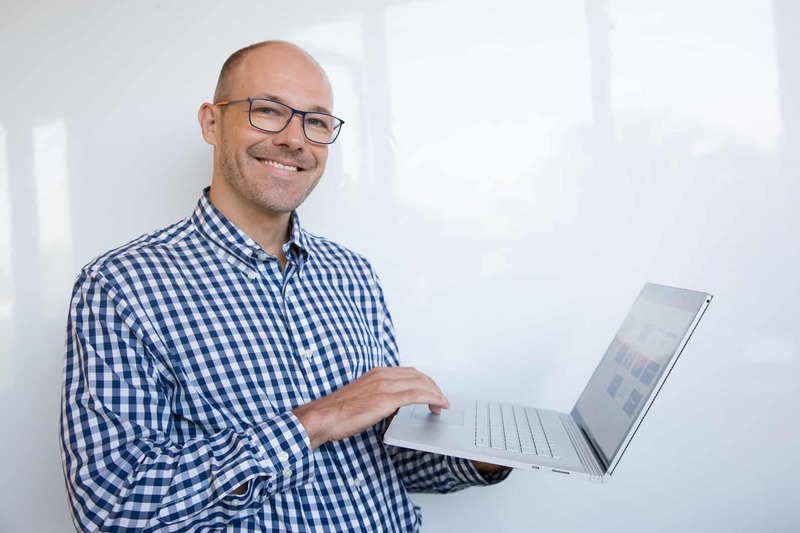 The trick to making an image transparent without the Office 365 subscription, is to first fill an rectangle or square with your image. For whatever reason, PowerPoint allows you to add a transparent to a shape, but not to a picture. See below step-by-step tutorial below for additional details and tips. From the Insert tab, find the Shapes gallery, select a rectangle and draw it onto your slide so that it’s the same height and width as your picture. Once that’s done, move the rectangle a bit to the side. Note: If your picture isn’t on your slide yet, make sure to do that as the first step. If your rectangle isn’t the same height and width as your picture, your picture will likely warp. That’s no good, so make sure your shape has the same dimensions as your picture before you do anything else. ​Select your picture and hit CTRL + C to copy it. For other cool things you can do with the Copy, Clipboard Copy and Paste special shortcuts, check out the video below. Right-click your shape, select the ‘Format Shape’ dialog box and navigate to the Shape Fill section. Here you have quite a number of options to work with. Since your picture is already on your slide and you have already copied it, just click the ‘Clipboard’ button. Doing so, your rectangle will fill itself with the picture. 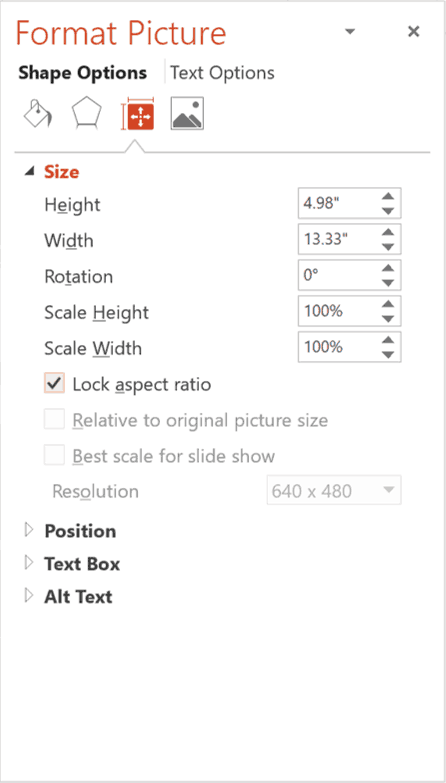 Another thing we recommend doing with your pictures in PowerPoint, is to lock the aspect ratio of your rectangle. That way your image won't accidentally get stretched and warped when you (or someone else) resizes the shape. To lock the aspect ratio of your rectangle. ​Another option – the slower method – is to fill the shape with a picture from a file on your computer by choosing ‘File,’ and then selecting a picture. This method can be used when the picture is not already on your slide, but you risk warping it if the dimensions aren’t right (see warning in step #1). ​Now to make your picture transparent, simply use the transparency slider or input the % of transparency you would like. In this case I’m using 50%. #1: Double-check that your rectangle has the same dimensions as your picture. #2: Double-check that your offsets at the bottom of the dialog box are all set to 0%. You might be wondering when you’d ever want to make a picture transparent? The primary reason is that it makes it possible to overlay multiple images. Here are some examples to give you some ideas…but sky’s the limit! Another example is if you are really excited about football like we are, you could (for example) take the members from your favorite team and superimpose them over your home stadium to create a cool effect! 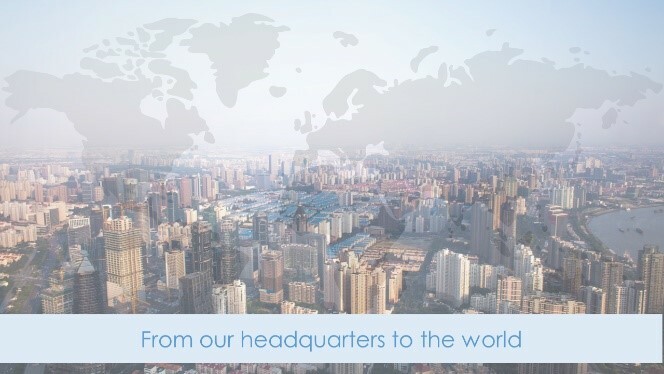 If you are working with lots of images in PowerPoint and you want to make them all transparent, you can use my my Power Cropping technique. Basically, you feel all of your pictures backwards through SmartArt, which automatically pushes all of your images into shapes so that you can then just adjust their transparency. To see this advanced transparent background technique in action, watch the short video below. 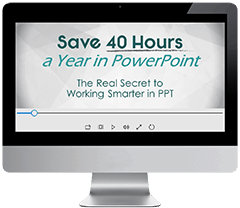 To see this video in a blog post format, see Resizing multiple pictures at once in PowerPoint. 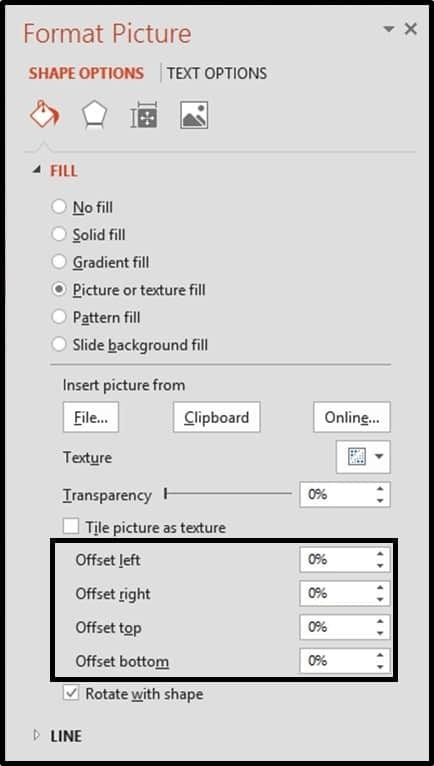 If instead of making your pictures transparent you'd prefer to remove your image background entirely, see Remove image background in PowerPoint. Get these awesome slides! Yes, it's 100% FREE. Sign up to our email newsletter to get immediate access to your slides, and you'll also get the latest & greatest hacks for PowerPoint, sent to your inbox once or twice a week.